Most recent developments and scientific evidences regarding biofuels’ impacts and sustainability but also methods to evaluate land use changes and bioenergy sustainability have been showing truly complex discussions. As far as one revise and read recent publications on bioenergy and land use change or sustainability assessments, the discussion becomes more and more complex and require to consider more issues that those that have been discussed in most forums until now. In this post we want to address the current situation and discussion on sustainability showing some latest scientific trends on land use change, biofuels and bioenergy crops. During 2011 to 2013, several publications have been showing new ideas and discussions on how to estimate impacts derived from the use of biofuels. Most of them compare and model global warming potential of bioenergy chains compared to fossil energy sources. Some identify sustainable use of natural resources and study how different technologies and site specific conditions or logistics, might change earlier conclusions dramatically. Of course, most impacts of biofuels on the envronment are being discussed intensively and have a tremendous impact on policies for bioenergy crops. We decided to review recent developments on bioenergy sustainability for those who never discussed seriously on biofuels and to open a new framework to discuss on sustainable bioenergy crops as we think the existing new paradigm already requires. In order to start a discussion on biofuels sustainability criteria, one should take first look to concepts explained here about what is a life cycle assessment (LCA). It takes account of all we use (fossil energy and all resources) and makes an inventory of all machinery, raw materials, fossil energy inputs (electricity, diesel or gasoline involved in the farm, etc.) and also the harvest operations, transportation of biomass and of course the efficiency of the process and final use of this energy. For example, if we analyze biofuels, we will compare a standardized car using bioethanol from corn with a car using gasoline during 100 km. Something else on methodologies for an LCA on biofuels can be also read here. This post and our discussion should begin when biofuels from grains and oil crops started to be the focus of attention worldwide. Before most policy makers had started to judge biofuels in the last decade, many research groups and even ecologists and environmentalists from all over the world used to consider that the word “bio” was equal to “sustainable”. We have been participating of several forums even in the last five years in which biofuel experts in many countries still do not believe that bioenergy chains could potentially have worse performance compared to fossil energy sources. Researchers should have the ethics and enough serious scientific approach to deeply discuss about this matter, as bioenergy will probably be in the scene of energy discussions and sustainability in the next decades and our planet require this relevant discussion. Ethanol from sugarcane in Brazil, Colombia and other countries (including several studies on potential deforestation and economic modeling). Biodiesel from palm oil in Asia with several publications on environmental impacts and there are some organizations denouncing deforestation in Peru or SE Asia. Thus, some firstly studied alternatives appeared to be not so “green” as initially thought. In particular in Europe but also in other parts of the world, a lot of scientists have analyzed global warming potential of many alternatives and modeled their up-scaling considering climate change and main information available. Most food crops have shown large potentials to be adopted easily by farmers and extension services required for their massive implementation. The annual habit and inputs used for most cash crops as well as the fact that they can be used for food and livestock, started to show negative acceptance. In some perennials like palm oil, the technology conversion used has been also focus of attention of some environmental discussions. Moreover, emission savings calculated in many of these crops for biofuels, have not been showing to be so effective to mitigate climate change even if their prices or real adoption in extensive lands is viable. Some studies have also shown that were their productivity is low (for example a semiarid regions or low fertility soils), so low oil yields per hectare required too large inputs in terms of oil used for machinery and plantation fertilizers as well. A good start to learn more about all this (for those who have recently started to discuss global warming and biofuels) could be to watch Al Gore film, “Un inconvenient Truth“, a nice critic to it here, or to read something more here where some publications can be also found. The estimates of carbon intensity for a given biofuel depend on the assumptions regarding several variables. As of 2008, multiple full life cycle studies had found that corn ethanol, cellulosic ethanol and Brazilian sugarcane ethanol produce lower greenhouse gas emissions than gasoline. None of these studies, however, considered the effects of indirect land-use changes, and though land use impacts were acknowledged, estimation was considered too complex and difficult to model. A controversial paper published in February 2008 in Sciencexpress by a team led by Searchinger from Princeton University concluded that such effects offset the (positive) direct effects of both corn and cellulosic ethanol and that Brazilian sugarcane performed better, but still resulted in a small carbon debt. Fargione and his team published a separate paper in the same issue of Sciencexpress claiming that clearing lands to produce biofuel feedstock created a carbon deficit. The last study analyzed several scenarios and estimated direct and indirect land use changes. The carbon debt was defined as the amount of CO2 released during the first 50 years of this process of land conversion. For the two most common ethanol feedstock, the study found that sugarcane ethanol produced on natural cerrado lands would take ~17 years to repay its carbon debt, while corn ethanol produced on U.S. central grasslands would result in a repayment time of ~93 years. The worst-case scenario is converting Indonesian or Malaysian tropical peatland rainforest to palm biodiesel production, which would require ~420 years to repay. As Searchinger argued on how policy decisions will require from this discussion, the controversy continued. Environmental authorities from the US Environmental Protection Agency (EPA) and European Environmental Agency (EEA) started to exchange opinions with farmers associations, biofuel producers, bioenergy associations and boards, environmental organizations and several entities dedicated to standards and legislation on biofuels. A good document with most relevant critics made in 2008 on Searchinger calculations can be download here. More about the controversy can be read in Wikipedia. Searchinger and Fargione studies estimated carbon releases from land use changes when land clearings and deforestation or grasslands switch to corn or palm oil occurs. Most critics argued that the Searchinger and Fargione studies had outdated assumptions and ignored the potential of increased efficiency in bioenergy systems. Some argued that “Searchinger et al., and Fargione et al., do not provide adequate support for their claim that bioufuels cause high emissions due to land-use change”, as their conclusions depends on a misleading because more comprehensive field research found that these land use changes are driven by interactions among cultural, technological, biophysical, economic, and demographic forces within a spatial and temporal contest rather than by a single crop market”. As most studies start to consider solid biomass use and bioenergy crops, biogas, lignocellulosic crops for 2nd generation ethanol and gasification/pyrolisis, more and more evidences show that GHG emission savings and avoided impacts from fossil energy have a huge potential. Many studies do not take into consideration the possible integration of bioenergy crops for biofuels with residues when allocating environmental impacts to their production (the case of Argentina that argued their soybean biofuel is taken from cake and some parts of their products coming from same land use are not used for biofuels bur for food production). Most studies only had information on crops for liquid 1st generation biofuels missing other technologies and all lignocellulosic herbaceous and woody perennial crops. Many of them, have been showing in recent years a highly sustainable pattern in life cycle assessments even in marginal lands. Just few articles from 2013 started to consider grasslands as one of the most sustainable alternative feedstock available. Even if their implications are not the same in the global markets, no consideration of energy crops for biogas are included in all these scenarios and studies. Small scale bioenergy is not often considered neither its integration with fuelwood and reforestation patterns in developing countries. Several recent studies (last 3 years) start to consider soil improvements with forestry or perennial grasslands used for bioenergy. This is an aspect that Searchinger and Fargione never considered. 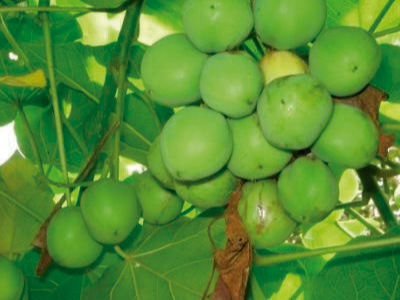 In recent years, palm oil, Jatropha curcas and many other trees for oil production like Pongamia, have been started to be a focus of attention in many Asian, African and Latin American countries with potential for those crops. Moreover, many companies tried to implement those alternatives (like Jatropha) in European countries and those of us working on bioenergy crops have seen how a lot of farmers, investors and even big energy companies lost huge investments establishing large extensions in areas where the crops where not suitable at all (like in many examples in the Mediterranean). Even sugarcane was looked to be established as its life cycle assessment and efficiency use of resources is truly high although it requires a tropical environment to be produced. It is clear although in most of mentioned crops their perennial habit showed a considerable potential reducing costs and inputs compared to annual feedstock (grains, oil crops) in terms of fossil energy used in their bioenergy chain per unit of derived biofuel (MJ/lt). Jatropha curcas has been initially considered as potential crop for extremely arid and marginal conditions. Although the consideration of its solid biomass wastes (cake, hulk, pruning) throghout the biodiesel production process might determine larger environmental benefits allowing its production in lower competitive lands and less fertile soils (where yields are much lower). More recently, perhaps in the last 5 to 10 years, a lot of contributions showed that things were not that easy with biofuels produced from dedicated energy crops like sugarcane, cassava, Jatropha curcas and palm oil. Some crops were difficult to establish by farmers, some produced lower yields compared to those expected in marginal lands, some are studied in lands that were previously occupied by forest or permanent grasslands that are well known for their capacity sequestering carbon in the soil. Therefore, many studies started to show that a critical perspective should be applied on bioenergy chains sustainability. At the time most first biofuels have been evaluated, and even more recently than the last alternatives explained here, solid biomass residues from agriculture, forestry and urban wastes were more and more popular and started to be considered. Fossil energy prices made a lot of pressure to governments and research groups and many companies producing renewable energy started to develop technology. At this time, several species of lignocellulosic crops started rapidly to be studied and considered as feedstock for bioenergy. In the last group, lignocellulosic species for second generation biofuels but also for new uses like biogas, heating and electricity applications are now focus of attention globally. Moreover, several groups and companies started to trade with biomass and have evaluated lignocellulosic crops for their potential and performance regarding emissions and environmental issues. Our group of bioenergy crops, an important discussion about “perennial vs annual” species have been addressed. Two good publications to suggest can be also read here (I and II). The fact is that first generation biofuels have lower energy efficiency and their impact parameters and categories have been showing that sometimes, and under certain conditions, many crops and even residues wouldn’t be so “sustainable”. The discussion here starts with something that a researcher in Princeton published in 2008 (I am talking about Searchinger and his contributions on land use changes). The last, would affect all possible bioenergy chains as a lot emissions would be produced when a forest or untouched land (permanent grasslands for example) change and are ploughed or a lot carbon is mobilized. Today we talk on saving emissions as reduction potential compared to fossil energy. What does it mean? Well, this is simple. If carbon, gasoline or any other form of fossil energy implies and requires a certain quantity of carbon emissions when it is converted to energy (transport, biomethane, heat, electricity or any other form or combination of all of them), then a bioenergy system that replaces partially that usage will need to be compared. The EU commission have often stated that when comparing, legislation should take into consideration the cleanest source replaced (not all gasoline, electricity or heat are equally clean). Typical savings can be found in this table. As 1st generation biofuels produce lower greenhouse gases emission (GHG) savings compared to lignocellulosic crops for energy when they replace fossil fuels or energy sources, an additional impact and carbon release to the atmosphere from land use changes could derive into too low benefits to consider them. This is what you are talking about here. Before going forward, one should read a lot about lignocellulosic crops, both herbaceous like switchgrass or Miscanthus, and woody crops like poplar, willow, acacia and many others. After that, one should consider last publications on grasslands and medium rotation forestry bioenergy chains and life cycle assessments. Many recent publications (from 2010 to 2013) show clear evidences of large GHG savings and other environmental benefits (including biodiversity issues) when replacing fossil energy sources. What makes a life cycle assessment to change and produce so large variability in the results? YIELDS: Perhaps the most important discussion is this one. I want to emphasize two topics. Not all regions produce similar yields and require same inputs. Both things determine largely the performance of energy crops. That’s why marginal lands require low inputs and we see there are good alternatives in this regard. TECHNOLOGY: not all technologies produce similar results with same crops or feedstock are considered. A more efficient technology would produce more energy in terms or energy used (and in terms of fossil energy used). This has a relevant consequence because an hectare producing biomass for ethanol is not the same that an hectare producing biomass for combined heat and power. Even with the same crop and species, and even in the same are or region, productivity that replaces carbon require the consideration of efficiency levels and technology changes dramatically. As example of the last, cofiring in a thermo-electric power station, or bales from a perennial grassland like Switchgrass in US or woody chips from an hectare of poplar short rotation coppice in Austria, would all be options to replace carbon but not with same results and environmental impacts. Oil obtained from a biorefinery producing heat or electricity with the same biomass as co-product has a different performance as well. Sugarcane bioethanol is often produced in Brazil in facilities that can produce electricity and heat during the process, which clearly gives an important advantage about environmental impacts and energy ratios and process efficiency. FOSSIL REFERENCE REPLACED: Replacing fossil energy requires to decide which reference has to be compared with a bioenergy chain. When a life cycle assessments is calculated a database need to consider a fossil energy used and the specific technology and logistics implemented for its extraction. It is not the same if we replace oil from PEMEX in Mexican facilities (in the Mexican Gulf) that completely different barrels obtained from the Arab Emirates . And when evaluating biofuels and bioenergy crops, we could also consider replacing natural gas electricity, domestic heating and hot water in a swimming pool or nuclear power as well. How is the land use change discussion today? Land use should consider thousands of combinations. Replacing forestry needs to consider the use of residues, timber, previously and subsequent carbon sequestrations (linked to productivity, management, biodiversity and water or socioeconomic issues). Increased demand for biomass will have a significant impact on agricultural practice and land use, including the potential for GHG emissions associated with direct and indirect land use impacts. 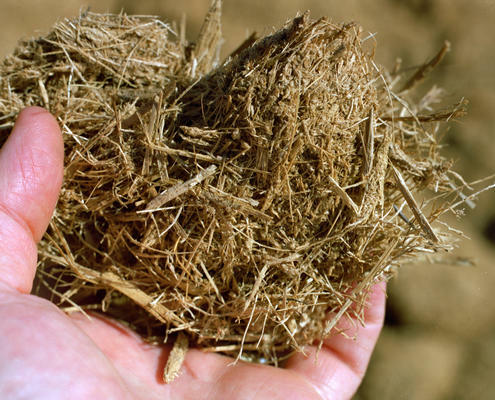 In some cases, changes in land use caused by the demand for biomass used in the energy sector could result in large releases of GHG emissions and these releases could be eroding the low carbon benefits of biomass to energy. The consideration of indirect land use changes (ILUC) in biofuel policies may be a real game changer: the introduction of ILUC requirements may make meeting the current policy targets even more difficult. A first issue that needs to be addressed is why we need to account for ILUC. The reason is that one of the major drivers, at least for the European Commission, for biofuel policies is to reduce GHG emissions. If these reductions are not achieved, there may be no point in promoting biofuels. Therefore, accounting for these changes, and for the impact that they may have on the net emissions reductions from biofuel use seems to make perfect sense. Indeed, the right policy is not to promote 1st generation or 2nd generation biofuels, it is to promote GHG-saving, sustainable biofuels. Estimating indirect land use changes derived from biofuel use is very complex. Many aspects affect land use changes other than biofuels, and moreover, the way in which they do changes with time. Other drivers behind ILUC are the demand for food, urban development, infrastructure, lack of property rights, income and property distribution etc. We may for example ask whether forests will be maintained in developing countries under the current models of development, with or without biofuels. Indeed, most developing countries already have fewer forests than developed ones. In addition, there are many interactions with other elements different from climate change. For example: more biofuels mean less ozone, resulting in more crop productivity, and therefore less land required for crops (this is a significant effect in some models that results from ozone, not from climate change). Therefore, measuring ILUC requires very sophisticated methodology, not yet in place. An example is the MIT-IGSM, which shows that there are large indirect effects from biofuel use, but not on food prices, for example. These indirect effects still do not compensate the positive carbon balance of biofuels overall, although they may result in negative rates in the first periods. But that depends on what land is substituted. If biofuels substitute crops (by intensification) then the net carbon sequestration is positive from the start, and to a larger degree. Even if biofuels produce deforestation and there is an initial carbon debt, this is compensated over the years. So land use effects from biofuels may even be positive. How important is this effect and its direction depends very much on yield growth, the ability to intensify crops, the willingness to convert land, the incentives to avoid deforestation, and the climate change and environmental effects on crop and biomass productivity. This ‘‘theoretical’’ result has also been measured in the real world. 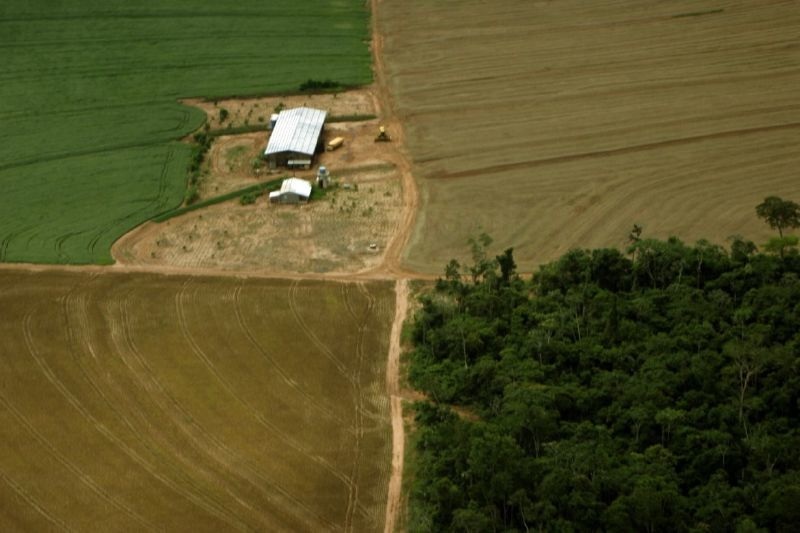 In Brazil, deforestation has been reduced while sugar cane area has grown. This was not the case before 2004 (when they were correlated), but since then there is no correlation, so there seems to be no ILUC. However, not all models deliver the same results. In Brazil, other groups have estimated a positive ILUC (although smaller than usually mentioned). ILUC factors are highly variable, and much subject to changes in the assumptions. This lack of consistency requires more work on model validation. However, it seems that in recent times numbers are converging, and getting smaller. Indeed, historical analyses show that models may be overestimating ILUC. The second problem, in addition to these difficulties in measuring ILUC, is that their incorporation into biofuel policies may not produce any real changes on land use. Indeed, ILUC factors will not change deforestation, or maybe only the speed of the process, since there are multiple interests besides biofuels in using forest land, and the only means of avoiding deforestation is to consider the process in its entirety, and not only one among its several components. Therefore, the chance that ILUC/Sustainability directives in Europe will achieve something positive regarding deforestation is almost nil. It may be easier to use ILUC factors to inform deforestation policies, or better instead, to have a global carbon policy that would render ILUC unnecessary. Alternatively, policy makers should think about targeting other ILUC drivers, without penalties on biofuels: help to establish and enforce property rights, etc. Deforestation policies can be mounted upon trade barriers: but not only on biofuels, also food, etc. This puts into question the development of the fuel quality directive. The third and perhaps most important issue, is to start to consider bioenergy chains in a wider manner. Technology, crops, rotations and integration between residues use and food production needs to be addressed for each region. A certification scheme for all this will needed too. Biofuels sustainability: Not all alternatives are the same. Land use effects: More land is available where more biofuels are produced. Are models wrong? Miscanthus or cheaper perennial bioenergy crops in higher latitudes?